Salt water is made up of sodium chloride and water. When salt is added to water, the sodium and chloride ions float freely in the water. Since an ion has an electrical charge, it can carry electricity through water. If a circuit is created with an electricity source and a light bulb, it is possible to light the bulb using the salt water as a conductor. Build the electrodes using the popsicle sticks, wire, aluminum foil and duct tape. Wrap aluminum foil around two sticks. Measure and cut three pieces of wire about 6 to 8 inches long. Strip a 1/2-inch section of insulation off all ends of the wires. Tape one end of one wire to the top of the aluminum foil on the end of one of the sticks. Repeat for the second stick. Connect one of the electrode wires to the positive terminal on the battery. Connect the second electrode to the threaded side of the light bulb. Secure in place with tape. 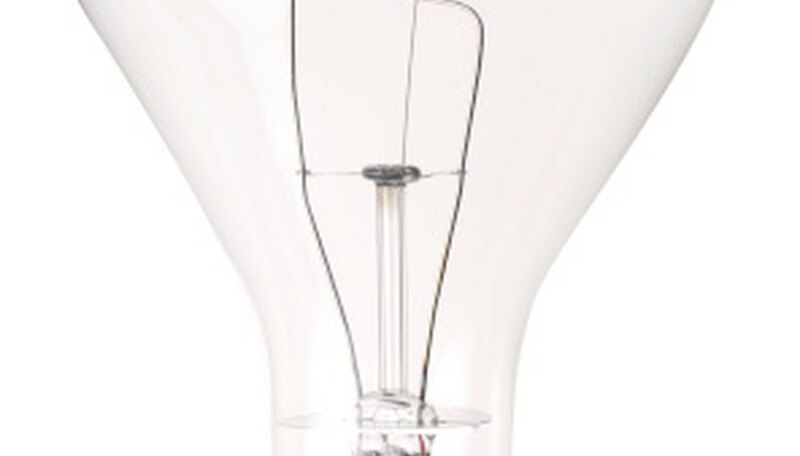 Use the third piece of wire and connect the negative terminal on the battery to the bottom of the light bulb. Secure with tape. Pour the distilled water in the beaker until it is half full. Add 3 tbsp. of salt to the water and mix until completely dissolved. Insert the two electrodes into the salt water. They should be on either side of the beaker. Once this is done, the light bulb should light up. Baer, Brian. "How to Light a Lightbulb With Saltwater." Sciencing, https://sciencing.com/light-lightbulb-saltwater-8523885.html. 24 April 2017.